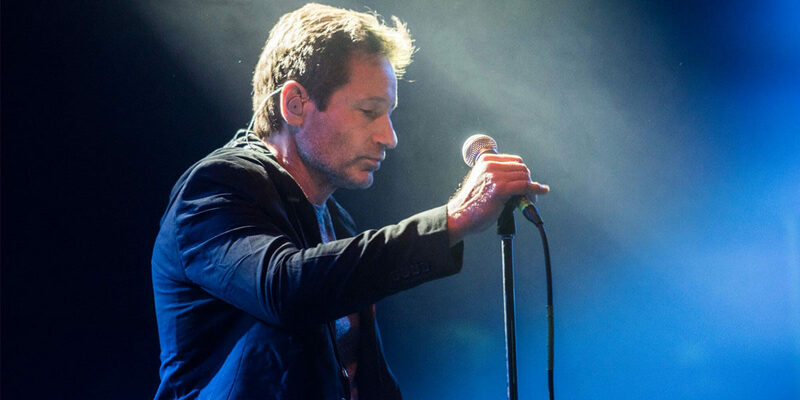 Known primarily for his television and film work, most notably his portrayal of FBI Agent Fox Mulder on the iconic Fox science-fiction television series The X-Files, actor, writer, and director David Duchovny didn't even pick up a guitar until his early fifties, but by 2015, the 54-year-old had amassed enough material to put out an album of original music. The two-time Golden Globe winner cites artists like Leonard Cohen, Bob Dylan, Wilco, R.E.M., and the Flaming Lips as inspirations, and his debut studio long player offers up an evocative blend of country, folk, and brooding alternative rock. The ThinkSay Records-issued Hell or Highwater was released in 2015, just after the release of his debut novel Holy Cow: A Modern-Day Dairy Tale.